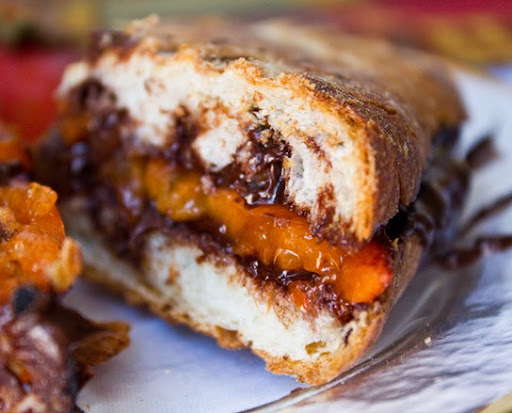 My Melted-Chocolate Persimmon Panini made from creamy vegan dark chocolate spread and soft, sweet fuyu persimmons is an easy, savory-sweet treat! Serve with a side of spicy hot cider (or a party-style Hot Toddie) and let the holiday festivities begin! 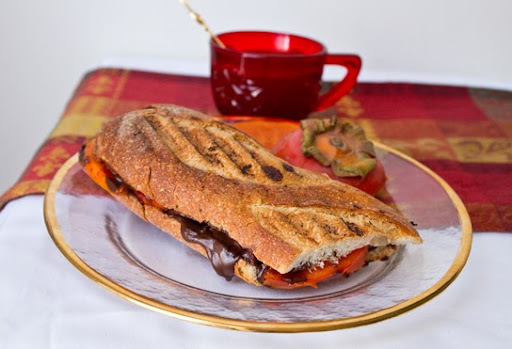 Try my melty-chocolate grilled panini recipe today! 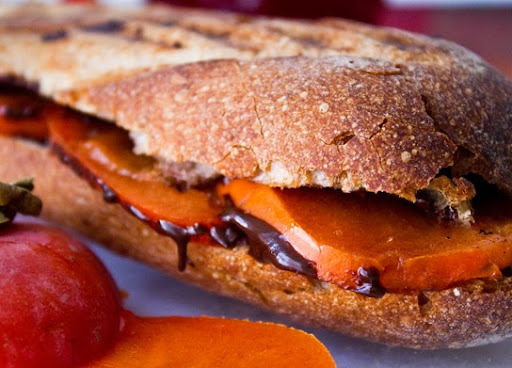 Your five minutes away from gooey chocolate bliss..
..festive persimmons are not only delicious, but also high in healthy fiber (more fiber than an apple!) - persimmon nutrition facts. 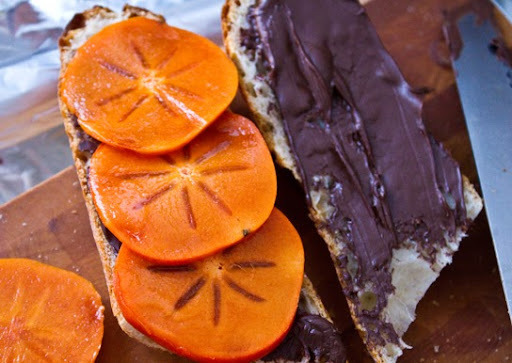 Make sure your Fuyu persimmon is ripe! Soft and squishy is perfect. A hard persimmon will taste like biting into a fuzzy sweater. Not a happy moment. 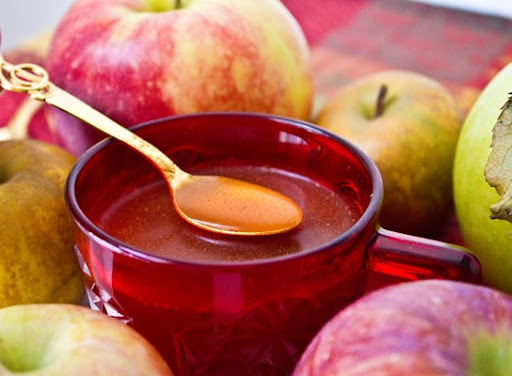 Pure, Fresh, Hot Apple Cider. 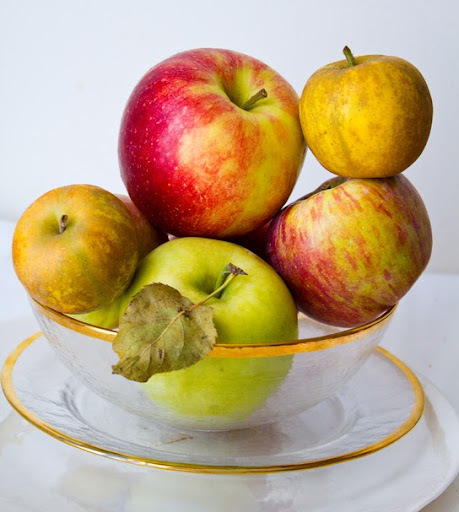 My deliciously-rustic apples from the Union Square Greenmarket inspired me to buy a quart of fresh apple cider (Migliorelli Farms) to make hot-spiced cider (sublime on a cold NYC day!).. * One Lucky Duck's Raw-tella is off the charts amazing. But also quite expensive, at $19.50 a jar. Worth it for an occasional splurge. Buy it here. 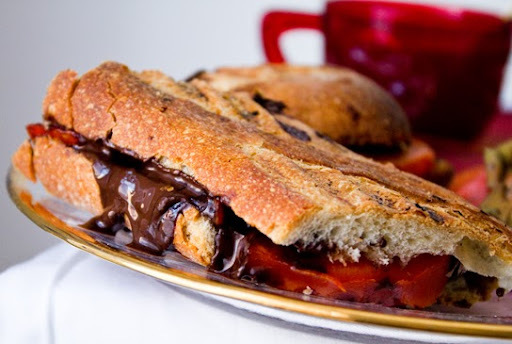 * Le Pain Quotidien's Belgium Dark Chocolate Spread "Noir" is also animal-product free. It has a (*may contain dairy) note, but if you don't have a dairy allergy you should be fine. * Dark Chocolate Dream by Natural Nectar is awesome and certified vegan. Find it at specialty stores. 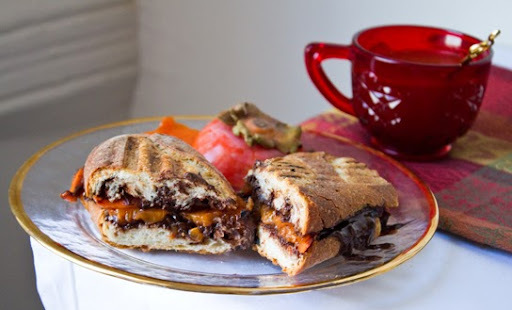 1) Warm up your panini press or get a grill pan ready. 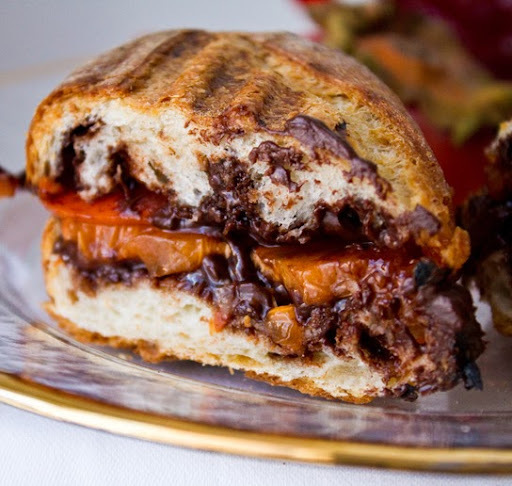 3) Spread your chocolate on the inner side of both slices of bread. 4) Slice your ripe panini into thin rounds. Lay over top bread. 5) Sprinkle a dash of salt and cinnamon over chocolate. Put sandwich faces together. 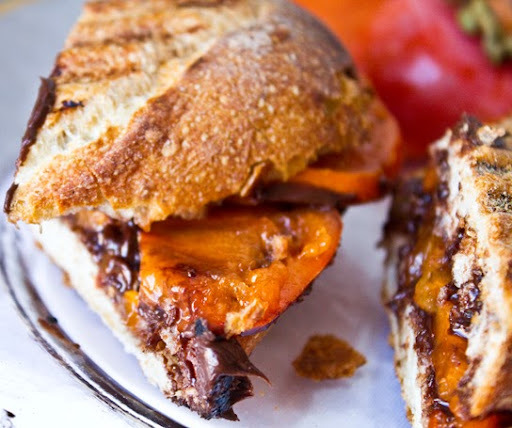 6) Grill for 2 minutes or until grill marks appear and bread becomes lightly toasted.